In the 2016-17 financial year of Australia, a sum of 183,608 permanent residence visas was given. The Australian Home Affairs Department website explains a Permanent Resident of Australia is a non-citizen who holds the permanent visa. 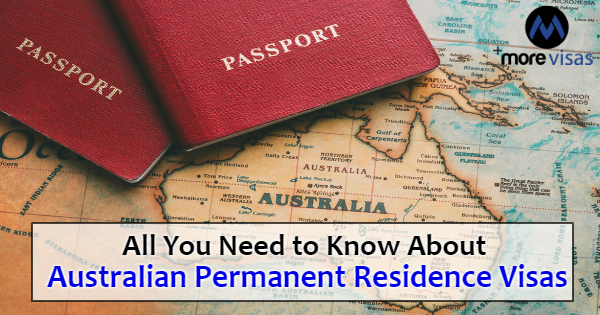 A permanent resident is able to live, study and work without restriction in Australia. The 05 primary categories of Australian Permanent Residence visas are valid for a duration of 5 years and with renewal can continue the recipient lifetime. Notably being an Australian Permanent Resident gives a pathway to becoming an Australian citizen. There are 02 Employer Nominated visas; prominently, the Regional (Subclass 187) visa and the Employer Nominated ( Subclass 186) visa. There are 02 major Skilled visas: The Skilled Independent (Subclass 189) visa and the Skilled Nominated (Subclass 190) visa. For this category, there is Business Talent (Subclass 132) visa. This category of Special visa is for the Distinguished Talent Subclass 124 and Subclass 858 visas. Several requirements an applicant should meet to be qualified for any of the above Australian Permanent Residence Visas like age, education, work experience, and language abilities. 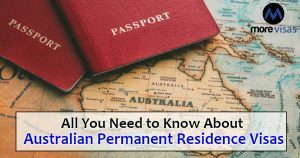 There is one perspective of all the Australian PR Visas that you will become conscious of and need to follow: If you ever leave the Australia shores, you need to do so with a genuine Resident Return visa. With this visa, you are able to re-enter Australia quickly to continue without failure of your permanent residence.